Black metal aesthetics can come in many forms. Hypnotic, raw, majestic, utterly mayhemic, depressing – as long as the typical bleak aggression shows. In the case of an American solo-project turned into band called Woe, anger and depression were the two emotions that permeated their music. However, from their raw beginnings to a more varied approach, they never really seemed to fit the “depressive-suicidal” tag. In fact, on previous albums, they did use the occasional thrashier or melodic section, while still retaining their cold brutality. While Hope Attrition is not too different in approach, it is certainly different in the final sound, as this is definitely their most nuanced offering yet. So, what changed since 2013’s slightly underwhelming Withdrawal? First of all, the production is much, much better. Gone is the impenetrable Trump Wall of guitars. Now, everything is well-balanced and clear, but not exactly polished – just like black metal should sound. The clangy cymbals and the buzzing tremolo backbone will guide you through the album, but will never overpower any other instrument. That way, Hope Attrition ends up somewhere in between the “raw” and “atmospheric” poles, and manages to absorb the best of both worlds. Sure, the majority of the album is fast. Yet, there are many interesting melodic guitar leads and licks to send shivers down your spine. And let’s not forget the frenetic drumming which is especially successful in showing the vitriol. Finding a nice spot in the middle ground, Woe’s fourth record manages to come quite close to the riff-based style of Mgla. Where the Poles sound colder and more misanthropic, Woe lash out with a more expressive, depressing anger. Case in point – the finale of “No Blood Has Honor” gets right in your face with the repeated, aggressive line “What could you know about honor?”. In fact, the second half of the song is basically one giant vocal hook. The sole vocal hook of the album, may I add, which is a bit disappointing. The reason for this slight disappointment is that the vocals are very well-performed, but also a bit different this time around. There are little to no cleans to be found, and the standard black metal rasp is not the most prominent vocal technique. Instead, we are treated with plenty of tortured, throaty yelling and the occasional desperate scream. Just like the instruments, the voice is never too upfront in the mix, and also never distracts from the music. What the vocal side of Woe does not lack is power and conviction. Hope Attrition succeeds in another thing – it brings top-notch riffage for its entire duration. Even better, it has a very natural flow to it. No annoying riff repetition to be found here – quite the opposite. Sometimes, you don’t even realize that you missed three minor changes. The way the songs build up without any jarring transitions is quite amazing, especially in the longer pieces, such as “The Ones We Lost”. There are little melodies thrown in here, then some shifting drum beats there, then the vocals change… seamlessly transitioning into one of those melodic tremolo riffs around 4:50 that just cranks the intensity way up. Again, I am reminded of Mgla, just a bit more expansively written. There is a whole lot to like about Hope Attrition. Both the aggression and the melody blend into a gripping album that has a high replay value. Sure, the boundaries of black metal are not pushed around in any way, but the craft is undeniably there. Yet, sometimes, the atmosphere of the record is pushed aside for variety – for example, the blasting “Drown Us In Greatness” actually incorporates an extremely melodic lick. Thus, if I had to nitpick, this album could work better in evoking a sense of desperation and unease, like the band’s early works. This is, however, weighed out by the fantastic songwriting and a huge bag of tricks that Hope Attrition brings. Innovative? Perhaps not too much. Recommended? With the entirety of my cold heart. 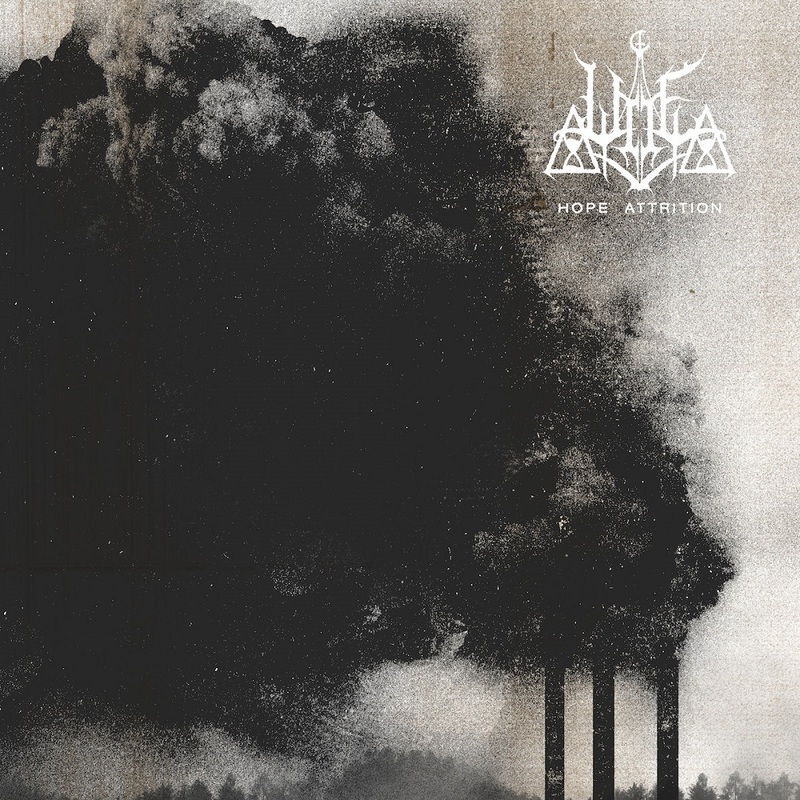 This entry was posted in Black Metal, Reviews and tagged black, black metal, Chris Grigg, Mgła, New York, usbm, Woe.